Is there a PRS like this? Discussion in 'Electric Instruments' started by horax, Aug 9, 2018. I was thinking this would be what I’d want if I did a custom run. I can’t afford that, so is there one in some sort of production? I’m still learning the differences for the models, so forgive me if this is common knowledge. 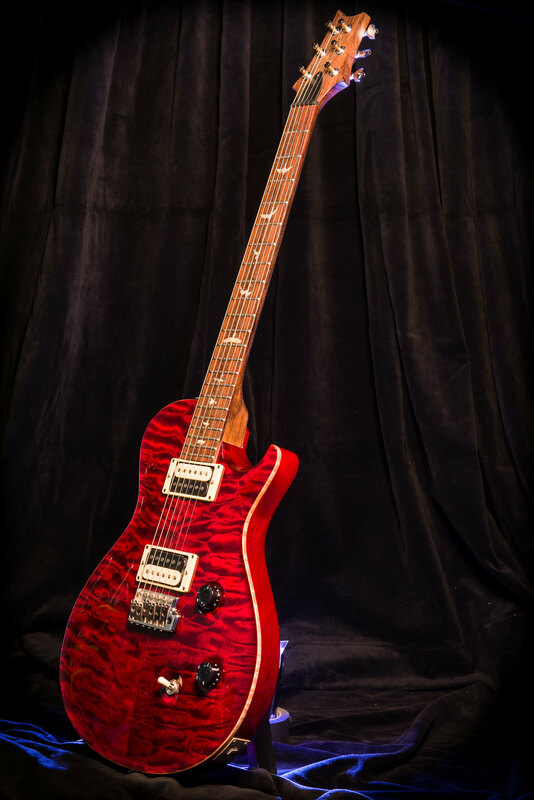 RedGuitars, WA Paul and Alnus Rubra like this. WA Paul, bodia, grausch and 1 other person like this. They made them in SE, too! Alnus Rubra and WA Paul like this. Yeah man, they’re out there if you can find one...possibly even a DGT. For the uninitiated, what's a DGT? They also had a very nice run of the SC Trem with 59/09. Think that was Experience 2013. I have an SE SC trem that ticks all your boxes. I put USA #7's in it. Smoking guitar. horax and Alnus Rubra like this. Single Cut Trem ( SCT ) is what you are looking for !!! 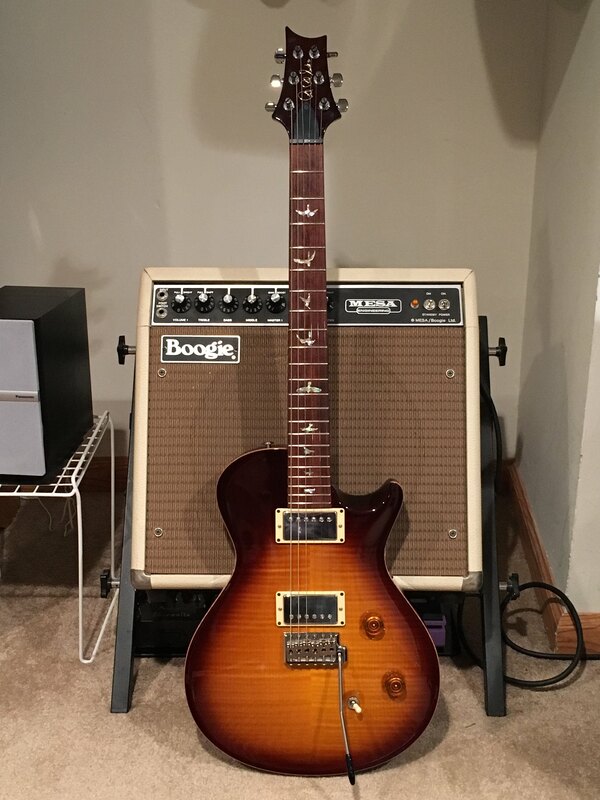 The one I used to have ( Howard Leese has it now ) Killer guitar , Rosewood neck had #7 pickups in it , I changed the bridge to a HFS liked it even more !!!!! bodia, dogrocketp, grausch and 1 other person like this. The blue SE I posted in your "three words" thread has a wide fat neck profile. It's a 2012 SE Singlecut Trem in Royal Blue. That Boogie MK I is to die for,,,, where did you score that? bodia and veinbuster like this. That fire red at Willcutt’s... didn’t need to see that. Gorgeous. Now that is definitely an idea.